Experience art and fashion by creating a spectacular world where art is worn on the body and the imagination is free to soar and anything is possible. Since 2000, designer Gillian Saunders has entered 16 garments in the Wearable Arts competition and in that time she has won 9 awards. ‘Supernova‘ was her first Supreme Award. She also won the Avant Garde category with the same creation, inspired by a sea monster’s fin and images from space. Designers from 40 countries entered this year so Gillian was delighted to win the top prize. “I had been making stage props for theatre and TV for years. 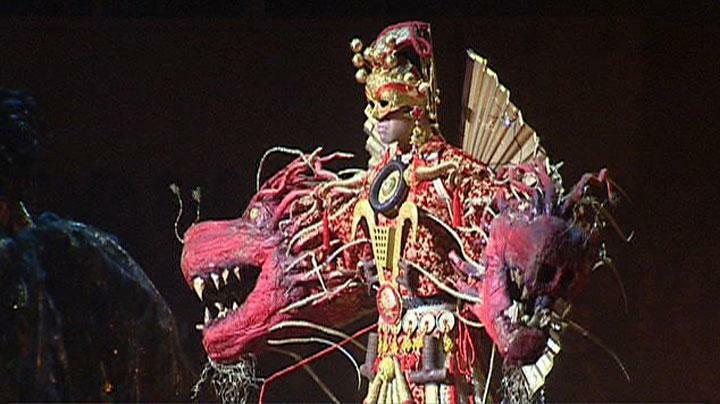 Wearable Arts was the perfect challenge, could I make props for the body as well?” she pondered before stepping up to the plate and designing her first garment 16 years ago. Now that you have an idea what WOW is like, let me give you the background to this stage spectacle. Each year her shows became more stunning and WOW was so successful that in 2005 Suzie was forced to move her show to a much larger theatre in Wellington to cope with the numbers wanting to attend. It was at this time, she understood she was onto something big. Since the shift to Wellington, the show has sold out every year and contributes $15 million to that city’s economy and is now the highlight of Wellington’s entertainment scene. Many people in Nelson were disappointed in her moving the show away from their little city but they had to realize WOW had outgrown the facilities they were able to provide. The original prize pool of $1000 is now $165,000. A team of over 400 people market and promote the international design competition as well as the 2 hour stage extravaganza that runs for 12 nights each September and now attracts close to 60,000 visitors from around the world. More than 300 designers from around the world representing a wide range of backgrounds including art, fashion, textile, jewellery and architecture use the human body to display their imaginative creations. Competition rules allow anything that can be worn, as long as it is original, visually stunning and well made. The Wearable Arts Show is a unique platform to use wool, metal, plastic, leather and many other materials in an innovative and inventive way allowing the 170 chosen finalists the opportunity to let their imaginations thrill their spellbound audiences. Budding models can apply online to bring the creations alive and the response each year far exceeds the numbers required for the show. Categories for the competition cover wearable art for children, wearable art inspired by flora, fauna and the cultures of the South Pacific and mind bending Avant Garde and Open Sections. Creative Excellence, Costume and Film, Man Unleashed and the Bizarre Bra categories also draw numerous eye popping entries. Suzie Moncrieff had always imagined, from the very first show, that her stage creation would go international. 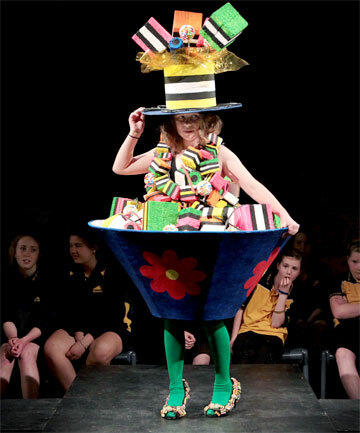 To date, she has mounted exhibitions of Wearable Art around New Zealand, as well as Australia and Hawaii. This year, she was happy to mount the first exhibition on the USA mainland. She took 32 of her various show’s creations, including Gillian Saunder’s 2015 winning design, to Seattle where 600,000 are expected to visit. The exhibition will also show in Boston. Suzie is confident, as more people rave about the shows, that in the future, they will be staged in the world’s fashion capitals. 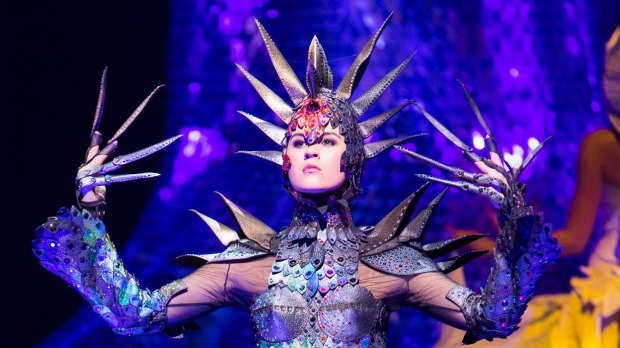 At the moment, people must travel to Wellington to see the real thing sparkle on stage with a mixture of amazing choreography for each individual costume accompanied by edgy theatre, music and art, all presented with dramatic lighting and sound. It’s total emersion in a fantasy world Pixar would be proud of. 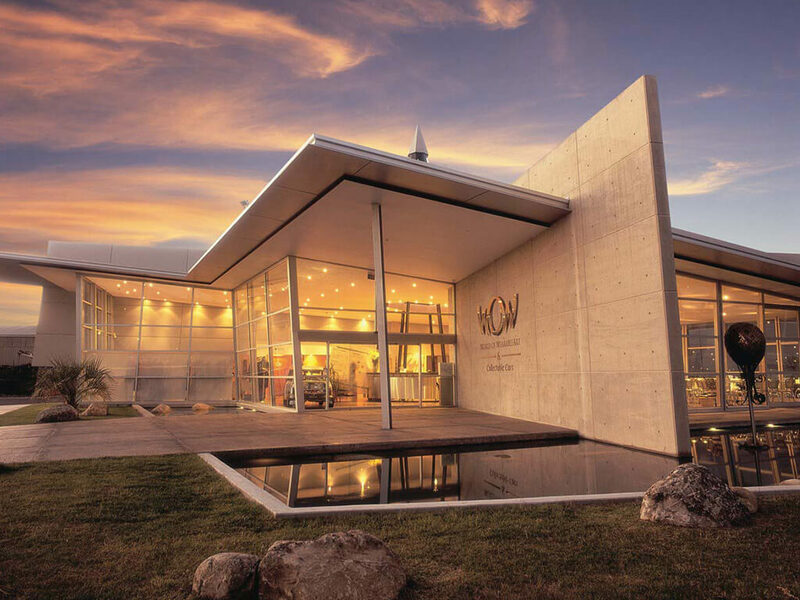 The World of Wearable Art and Classic Car Museum in Nelson has 70 garments on display in a permanent gallery dedicated to WOW. 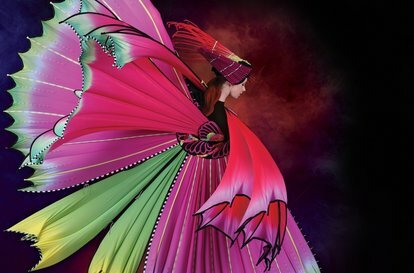 The World of Wearable Art has become big business. Apart from the competition and show itself, people wanting more can purchase WOW wall calendars, tea towels, T-shirts, badges, postcards and stylish (of course!) jotter pads. Five different books featuring various aspects of WOW have been published. A mini bead kit is one of the three children’s items available. A show programme explaining the story behind every featured garment, is also available along with the DVD of the show! In 2011, Suzie Moncrieff was awarded “Wellingtonian of the Year” in the arts category and in 2012, she was knighted for her efforts in New Zealand arts and became Dame Suzie Moncrieff. If you enjoyed this blog, please share it and leave a comment. Don’t forget to check the archive page for previous blogs to read. What a wonderful blog extremely well written. It must be a very spectacular show. Five years into my Deen, this is still highly useful information. JazakAllahu khaira! I’m pleased you found my blog useful.